The purpose of this site is to provide space for some of my fictional characters to present themselves to a wider audience. They were all created solely to entertain, amuse or edify any and all who would invest the time required to meet with them within the pages of their various books. To somewhat mitigate this crass commercial approach one page will be dedicated to essays on events, current and past and other opinions on the vagaries of the human condition. Comments are welcomed and encouraged. If you are looking for a different sort of western story, this is the one for you. This is a tale of a stone cold killer outlaw who finds a path toward redemption while serving time in a New Mexico prison. In a complete reversal of roles he becomes a circuit riding minister and travels the west seeking to find personal salvation by leading others to spiritual fulfillment. Still, elements from his past refuse to stay buried and The Preacher finds that his bible must be augmented by a sixgun. When his past finally forces him into an inescapable showdown he discovers the only final salvation available to him. I had a good time with this book. It is a great read for anyone who enjoys westerns. I grew up on western film but have not read many western books. I enjoyed the characters and got surprised a few times, especially by McFee who ran deeper than I realized at the beginning. I enjoyed his romance with Salome, finding it realistic for his situation and needs. I kept hoping for more after they marry, and you'll have to read the book to see how their relationship plays out. I won't spoil it. It has some fun cowboy good guy/ bad guy scenes, as well as a bit of redemption in there for good luck. Very enjoyable. If you're looking for a western or for a novel about redemption, this will satisfy both--with a twist. With well developed characters and great historical detail--plus a few great one-liners--this novel was a fun and interesting read full of characters I really cared about. Brian McFee with his red beard, Salome come Sally, the bishop who stands (somewhat tentatively) in McFee's corner--these were people I wanted the best for. This novel had me thinking about the characters and the outcome long after I was done. A good yarn. 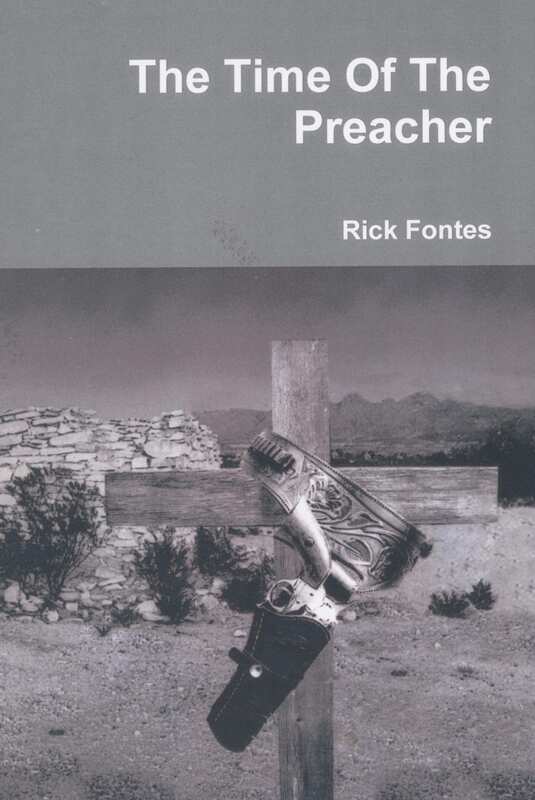 Rick Fontes has written an imaginative riff on the Willie Nelson song/story cycle, giving background stories to the characters and events that appear in the well-known songs. Historical details appear to be well-researched. In all, a compelling story that begs to become a screenplay. Not a big fan of westerns, but this book is good. It's a western, but the story keeps you from realizing it or even caring.